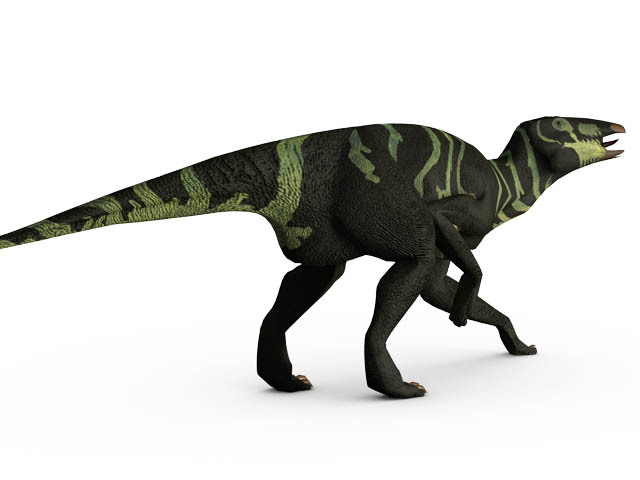 Facts & description: This CGI drawing shows the possible appearance of Edmontosaurus, a crestless, duck-billed dinosaur from the late Cretaceous Period (around 70 million years ago). Edmontosaurus reached up to 13 metres (43 feet) in length and weighed around 4 tons. The first Edmontosaurus fossils were found in Alberta, Canada in 1917.